Norwich UK is a city which is vibrant, in touch with today’s world, but at the same time steeped in history and overflowing with culture. And during the 11th Century, this superb city was the largest city in England, after London - impressive! You can easily spend the day shopping, wandering along Tudor cobbled lanes, or taking in some of the wonderful historical buildings that Norwich has to offer. You could even take a guided walking tour around parts of the historic city. Or indeed entertain yourself at the theatre or cinema, or one of the many galleries in and around Norwich. Park in the middle of Norwich and spend the day shopping, some people love it, others hate it! Shop amongst the chain stores, but if you want to get away from the shops seen in every high street up and down the country, you can also wander along The Lanes, cobbled Tudor streets, where you’ll find masses of little independent shops, cafes and galleries to amuse you. 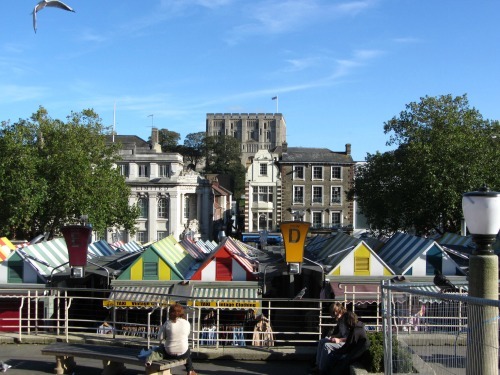 Wander up and down the rows of the well known covered Norwich Market with 200 stalls and one of the largest outdoor markets in the England. Norwich UK has more medieval churches than any other city in Western Europe north of the Alps. This was all thanks to the wool trade back in those days. Dotted around the city you’ll come across these churches, and if wish to find out more, please visit this Norwich churches website. 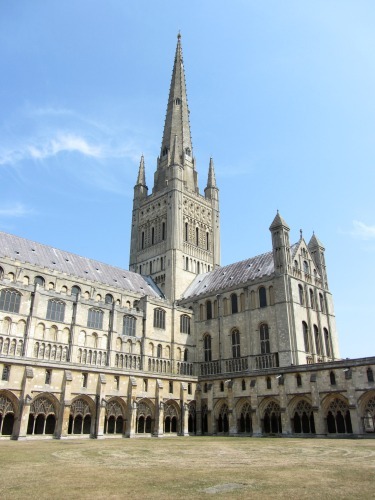 Both Norwich Cathedral and Norwich Castle Museum are within easy walking distance in the city and both are definite “must see” experiences. You can easily take a whole day to visit both of these sites, particularly the museum; it has so many diverse and interesting exhibits, there is literally something for everyone here. And Norwich Cathedral will impress you too. It really has that WOW factor, with an incredibly tall and ornate nave that will leave you in awe. You also have other museums and galleries such as the Bridewell Museum, Strangers Hall (the oldest building in Norwich UK) and Dragon Hall, all dating back to the Tudor times, as well as the Sainsbury Centre for Visual Arts, a very modern art gallery within the University of East Anglia complex, slightly outside Norwich city centre. The Tourist Information Centre put on lots of different walks, usually in the summer months. 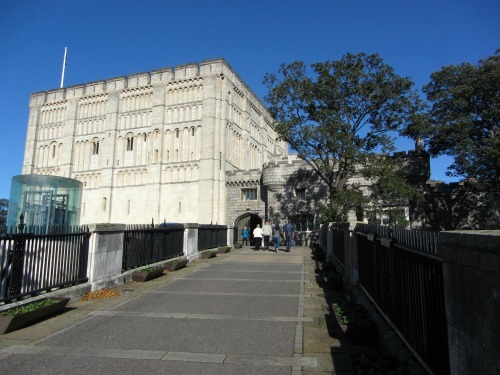 As it's a city steeped in history, taking one of the tours, which lasts for a couple of hours, is really interesting and gives you a very good understanding of how important Norwich was years ago. Here you can read about one I went on called "Passages Through The Past". If you fancy a trip to a Norwich theatre you won’t be disappointed. Norwich actually has 5 theatres, those being the Norwich Theatre Royal (opened in 1785), Maddermarket Theatre, the Norwich Playhouse, Norwich Puppet Theatre and the Sewell Barn Theatre – you are once again spoilt for choice. And if you’re looking for a Norwich cinema, then you’re also in luck as it has 3 excellent cinema complexes, one in Castle Mall and one down by the river at Riverside, and one in Anglia Square, all with easy parking and booking facilities. But if you want fresh air and views from the river around Norwich, then look no further that City Boats which will take you on trips taking in Old Norwich or the Norfolk Broads, or the Norwich Punting Company, which will take you on a river tour of the Wensum, or do bespoke trips for you. Norwich City Football Club, situated on Carrow Road and a stone’s throw away from the city centre, is Norfolk’s premier football club and has a huge following. And for those that don’t know, Norwich City f.c﻿. has as their mascot the Canary – and the history behind the canary is that it was introduced by Flemish refugees who brought their textile techniques to Norwich UK, as well as their pet yellow canaries which they bred locally. This then became the devoted and beloved mascot of Norwich City fc. You can book tickets through their website. Retail therapy – Girls love it, and so do men really – well OK, some men! Norwich is one of the UK’s top 10 shopping destinations, and people come from far and wide to take a bit of retail therapy in Norwich UK. Those who live in Norfolk are very lucky to have this wonderful city on their doorstep and I think sometimes we don’t always appreciate it, but in East Anglia, apart from Cambridge, Norwich comes top (in my opinion) as the nicest experience for shopping in a city. 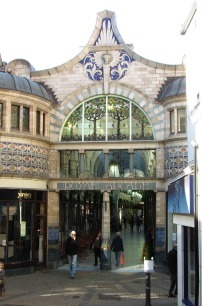 With its attractive Royal Arcade, historic covered market, independent shops and cobbled lanes, this is a place where you can relax, unwind and browse in a charming and historical city. Norwich Market has been in the centre of the city for over 900 years, and is older than any of the buildings which surround it, and that’s saying something. In its time it has had many makeovers, but with 200 stalls, and always sheltered from the rain, this is a market which is open every day, except Sunday. No waiting for market day in Norwich, it’s always on (except Sunday)! Norwich UK is such a delightful city, with so much to do, that Norfolk is proud to have Norwich as its capital city! Come and enjoy the experience.